One thing I know when I pick up a Caroline Mitchell book is that I am in for a real page-turner of a read and The Silent Twin is no exception. I love the link to the paranormal with DC Jennifer Knight and Operation Moonlight looking into cases with a supernatural edge; it really brings something different to what already is a fast-paced thriller. There is nothing more scary than a child going missing and DC Jennifer Knight is called in to investigate the disappearance of Abigail, who went missing during a game of hide and seek with her twin sister, Olivia. Olivia hasn't uttered a word since and, as she might be the only person who knows what actually happened to Abigail, Jennifer must try to get close to Olivia by any means possible to find out what she knows. As we feel time ticking away, will Olivia reveal enough in order to save Abigail? Caroline Mitchell really has a knack of throwing you off the scent. I felt like Meryl Streep's character in Death Becomes Her as my head swivelled round and round looking for clues and trying to decide who was guilty. It was a really good observation of a dysfunctional family as Joanne and Nick, the twins' parents, seemed to be acting oddly and clearly had things to hide. 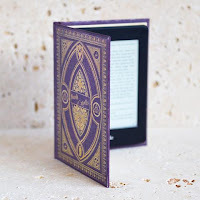 With tantalising diary entries in between chapters, the reader gets both an insight into the mind of a very damaged person and an increased feeling of fear for the safety of Abigail. I could barely breathe at one point near the end and felt like I was almost in a race against time myself. 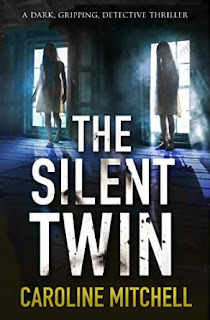 The Silent Twin is another fantastic page-turner from the pen of Caroline Mitchell. Sometimes creepy and always gripping, Caroline knows how to hook a reader from start to finish and constantly delivers outstanding shocks and surprises in her books. The DC Jennifer Knight series is a definite winner and long may it continue.